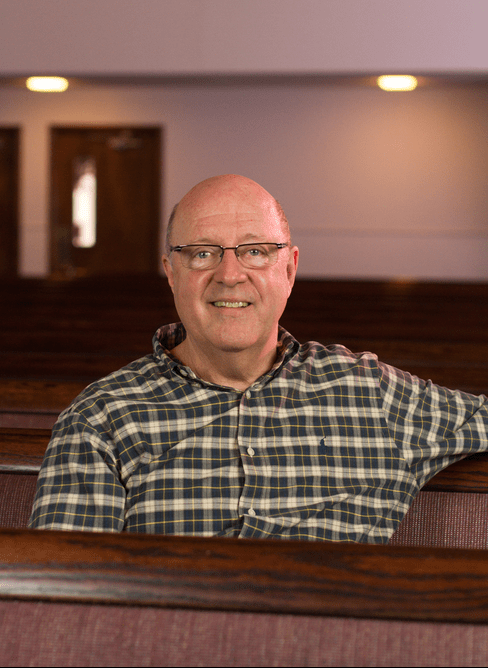 “I’m 67 years old, but I feel like I’m a teenager,” said Bobby Bridges, who pastors Arlington’s Mayfield Road Baptist Church, and serves as a volunteer chaplain for Arlington Police Department. Bobby didn’t always feel this young. In fact, he had experienced shortness of breath to the point that walking up a flight of stairs was tough. Bobby thought he’d have to resign from the many community activities he loved as his health continued to decline. Often, he was in his recliner by mid-afternoon. About a year and half ago, Bobby experienced sudden cardiac death while driving away from a local shopping mall. Fortunately, his life was saved by an alert police officer who called 911. Paramedics pulled an unconscious Bobby from his car. Six years earlier, Bobby had been diagnosed with abnormal thickening of the muscle of the heart, hypertrophic cardiomyopathy (HCM). Bobby’s physicians said he would be ok but that the condition needed to be watched. The hypertrophic cardiomyopathy had not only blocked normal blood flow but had caused abnormal heart rhythms, resulting his Bobby’s sudden cardiac death episode. Bobby and his wife Judy consulted with his cardiologist to research a permanent solution. Their search led them to Stuart Lander, MD, a cardiologist on the medical staff at Baylor Scott & White All Saints Medical Center – Fort Worth. Physicians reduce the proportion of tissue blocking the blood flow due to thickening of the heart muscle. Alcohol is injected, causing the muscle cells in that area to shrink or die. Cardiologists and their team perform this in a cardiac catheterization laboratory with the patient under sedation while their heart monitored through transthoracic echocardiography. Bobby had one special request during his procedure: he wanted to remain conscious. Dr. Lander agreed. While performing the procedure, Dr. Lander kept Bobby informed every step of the way. Now fully recovered, Bobby isn’t just resting in his easy chair. Married for more than 38 years, Bobby gives all the credit to his medical team for having more years to spend with his beloved wife Judy and their adult son and daughter-in-law. “I feel like a teenager, running around, doing yard work, helping the local police department, and working with my church — doing all the things I like to do,” Bobby said. Visit our website to learn more about Baylor Scott & White Health’s heart and vascular care programs.